RISE is Europe's largest tech conference produced by the team behind Web Summit. 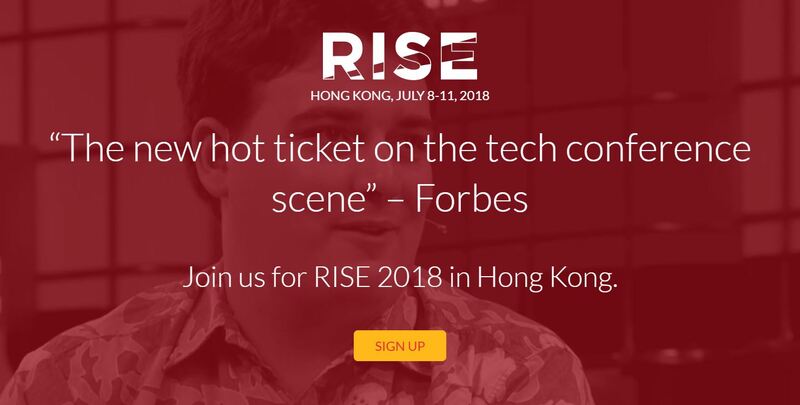 Join the world’s biggest companies and most exciting startups this July 2018 in Hong Kong to share their stories and experiences. They’ll be joined by major global media, hundreds of investors and thousands of attendees for three days of legendary networking.